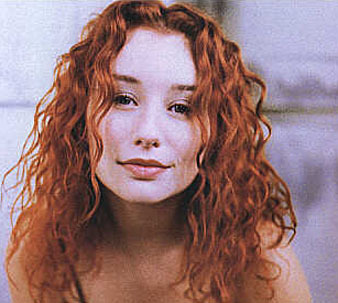 Exhibiting unusual musical aptitude as a very young child, Tori Amos was invited to attend the Peabody Conservatory of Music of music at the tender age of five. The strict, uninspired curriculum proved completely at odds with her intuitive form of playing, and she was expelled from the school by the time she was 10. Undeterred in her conviction that music was her calling, she began to perform her songs in clubs as a teenager; in 1984 she moved to Los Angeles and formed her first band, releasing the album Y Kant Tori Read. The music and image of the record were largely shaped by ill-advised record label marketing ideas, and it quickly disappeared without a trace (it fetches a considerable sum if you manage to find it now, though). Initially devastated by this setback, Tori, with the encouragement of friends, ultimately used the experience as a motivation to create music that was free from outside interference. Her debut record, Little Earthquakes, was the success she had wanted, creatively and commercially. Although initially popular only in England, the record inevitably caught on in the States, where many of her fans mistakenly believed she was British. Subsequent releases have only solidified the devout following garnered by Little Earthquakes, but unconventional twists in her musical output have prevented her from becoming a larger pop star.